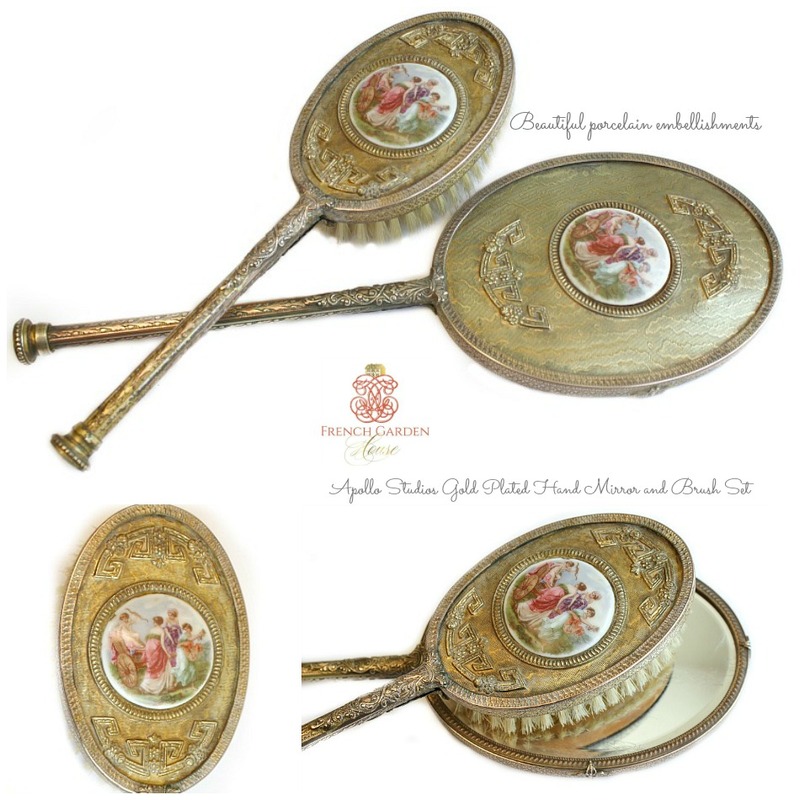 Gorgeous Antique Apollo Studios Gold Plated Hand Mirror and Brush Set, to delight you at your French boudoir table. 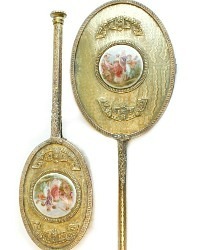 The perfect combination of elegance and beauty, both the mirror and brush have gilded backs, with ornate ornamentation. 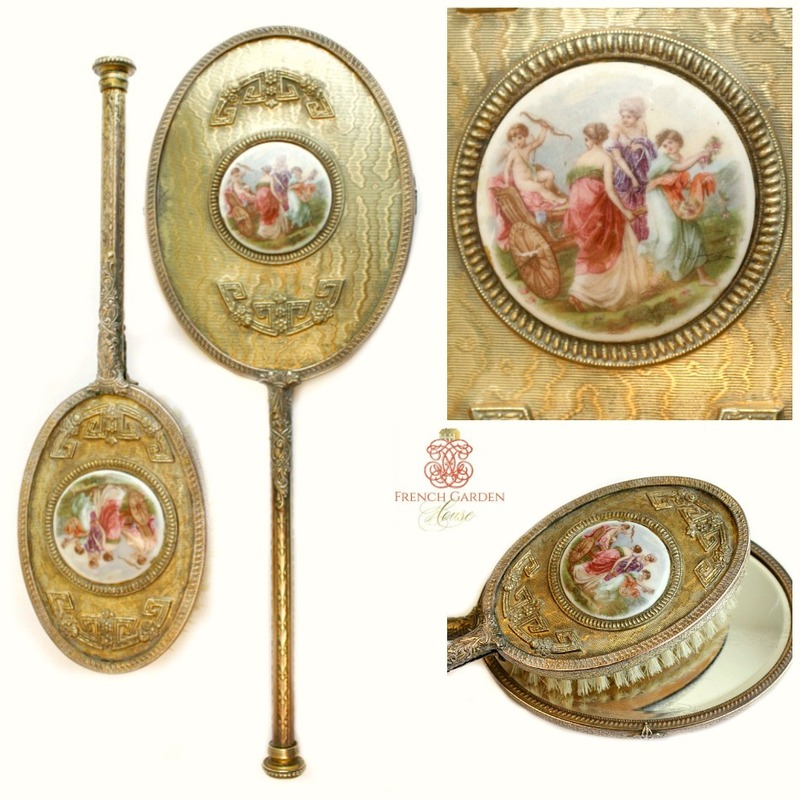 The centers are find decorative porcelain insets featuring goddesses or maidens and a sweet Cherub or Cupid. There is wear to the gilding, and aging as shown, commensurate with being just over 100 years old. 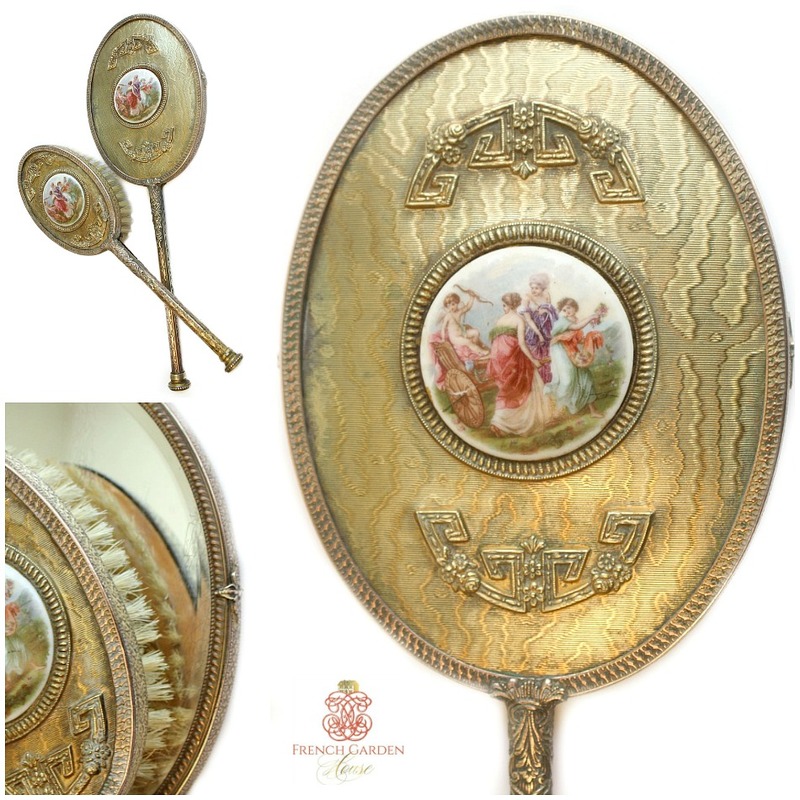 A divine addition to your collection of antique gilt, ormolu and sterling vanity accessories. Mirror has aging in a few areas, but it is still perfectly clear. Brush has all the bristles firmly in the wood. A gorgeous set to add to your collection. Mirror measures 12~1/2" long , brush measures 9~3/4 long.